Sarah Beth's owner recently acquired a 130' Westport built in 2014 through Luke Brown Yachts. 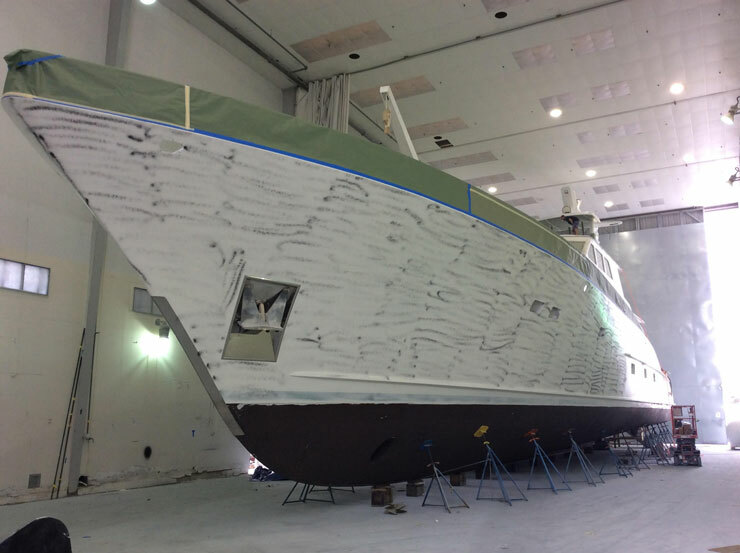 Prior to putting Sarah Beth on the market she underwent a major refit at American Marine in Stuart, Florida which included paint and new teak decks. Few sportfishing yachts have the chops to make long passages to remote fishing locations, with both speed and comfort. 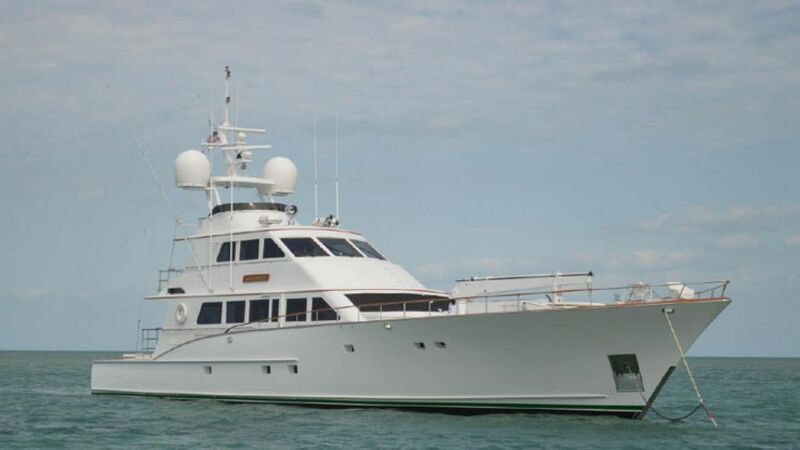 One that does - and happens to be on the market today is the 108' Burger Sarah Beth. Powered by a pair of Detroit Diesel MTU 12V4000's, this 2001 build can cruise at 24 knots and tops out at 28 knots. Combine that with an 8,025 gallon fuel capacity, and it's clear that you'll be fishing wherever your heart desires. Quickly. The cockpit of this sportfisher is massive, large enough to still feel roomy even with a pair of fighting chairs and a center rocket-launcher. The transom houses a pair of massive livewells with viewing ports, and has a tuna door large enough to drag in record-setting pelagic predators. An upper cockpit deck provides plenty of room for spectators and there's also an aft deck behind the flybridge, so you can capture the fishing action from above. 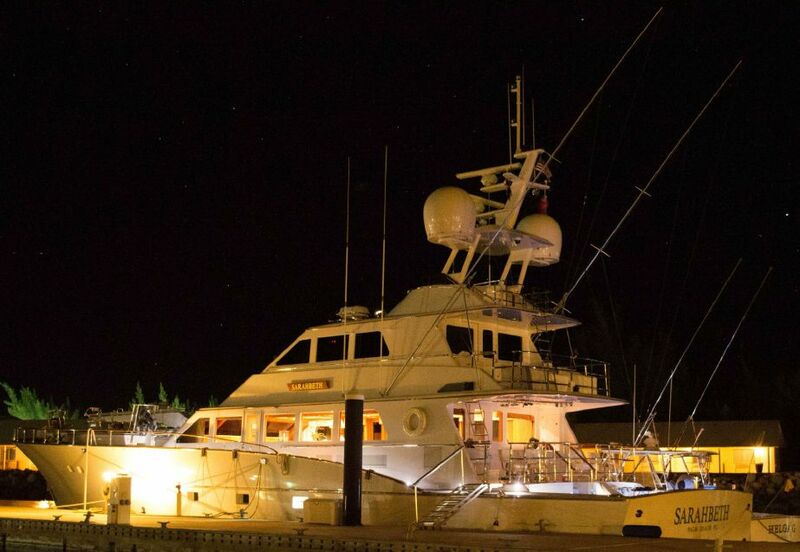 As you would expect from a sportfishing yacht of this stature, the accommodations are both spacious and opulent. The main saloon has teak paneling, multiple settees, and a teak peninsula separating the dining area. Speaking of dining: your chef will be enamored by the five-burner glass-top range, two-door stainless steel refrigerator, granite countertops, and Bosch dishwasher. Hold on, now-a chef on a 108-footer? Why not? Sarah Beth has plenty of room, with two separate crew's quarters, each including twin berths and private heads with showers. Yet this yacht is still spacious enough to provide sleeping accommodations for the entire family plus guests. The master stateroom is amidships, with a king sized berth, plenty of stowage, and marble and glass his-and-hers heads. Forward of the master there are two guest staterooms, each with their own ensuite heads. Build quality is evident in the details throughout these cabins, where you'll find details like solid teak doors, trim, and cabinetry; all of the hanging lockers are cedar-lined; and fixtures are stainless steel. Then again, you wouldn't expect anything less from Burger. The shipyard's roots date back to 1863, when Henry Burger began building boats for commercial fisherman. The Burger history includes constructing the last full-rigged schooner built on the Great Lakes, building minesweepers during World Wars I and II, producing the nation's first all-welded aluminum boat, and between 1985 and 1990, launching a shocking 47 percent of all regsitered motor yachts over 80' built in the United States. Sarah Beth is currently being offered for sale at the price of $6,950,000, by Luke Brown Yachts, and is located in Staurt, Florida. To learn more about this yacht, Luke Brown Yachts.